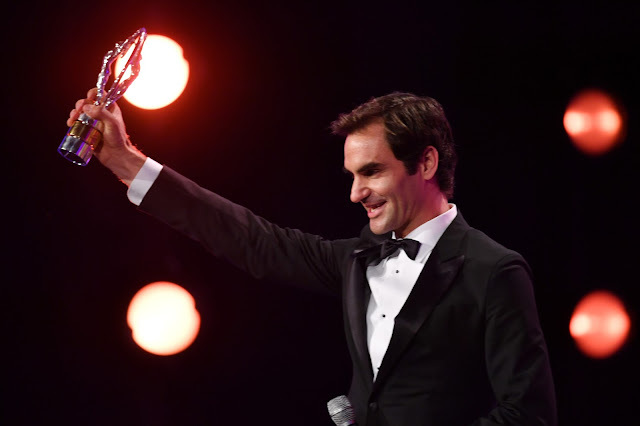 He is the icon of men’s tennis, and tonight, in the company of HSH Prince Albert and HSH Princess Charlene, Roger Federer won his fifth and six Laureus statuettes, becoming the most decorated Laureus Winner in history at the 2018 Awards Ceremony in Monaco. Speaking after receiving his Awards, Federer said: “This is a very special moment for me. Everyone knows how highly I value my Laureus Awards, so to win another would have been wonderful, but to win two is a truly unique honour. And so unexpected. I am delighted and I would like to thank the Laureus Academy for all their support. 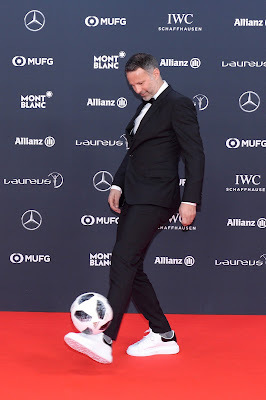 Voted for by the legends of sport in the Laureus World Sports Academy, the Awards recognised sporting achievement in the 2017 calendar year. The Awards were hosted by Hollywood superstar Benedict Cumberbatch, while world-renowned singer-songwriter Emeli Sandé performed for guests. 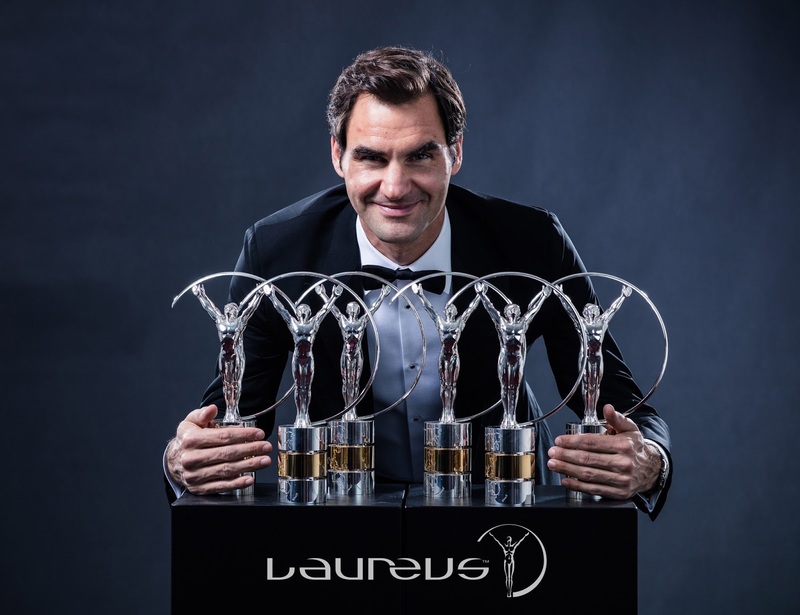 In the Sportsman of the Year category, Federer fought off tough competition from the likes of Rafael Nadal and Cristiano Ronaldo to win the Award. 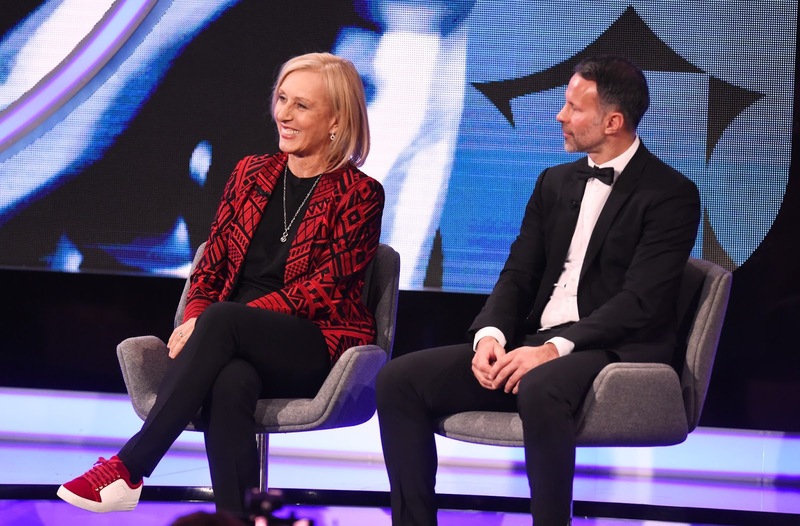 The Swiss tennis star who won the Australian Open and Wimbledon, also received the Comeback of the Year Award, in recognition of his achievements in overcoming a serious knee injury. Golfer Sergio Garcia won his second Laureus Award, 18 years after winning the Laureus Newcomer accolade at the 2000 Awards. The Spaniard received the Breakthrough of the Year Award for winning the 2017 Masters, his first ever Major Championship win on his 74th attempt. 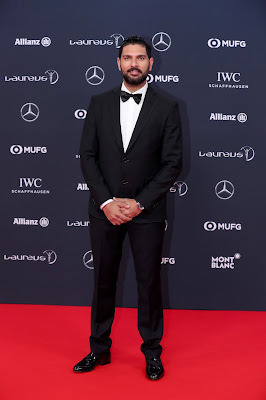 Mercedes AMG Petronas beat the likes of Real Madrid and the Golden State Warriors to win the Team of the Year Award, after continuing their dominance in Formula One by securing their fourth successive Constructors World Championship. French Vendée Globe winning sailor Armel Le Cléac'h received the Action Sportsperson of the Year Award, while Swiss triple world champion wheelchair racer Marcel Hug won the World Sportsperson of the Year with a Disability Award, for his 800m, 1,500m and 5,000m titles in the T54 class at the 2017 World Para Athletics Championships in London. 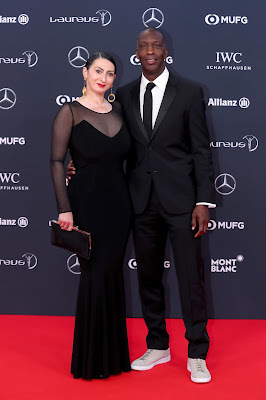 Attended by sports stars, celebrities and business leaders from around the world, the Awards also shone a light on the transformational work of Laureus Sport for Good, the Laureus charity which uses the power of sport to help young people overcome violence, discrimination and disadvantage. Brazilian football team Chapecoense, the team which was torn apart by a devastating plane crash and whose revival and comeback inspired the sporting world, were honoured with the Laureus Best Sporting Moment of the Year Award. 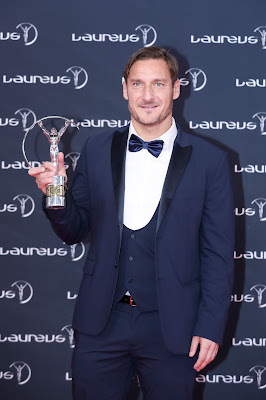 Italy and Roma football legend Francesco Totti received the Laureus Academy Exceptional Achievement Award, honoured for his inspirational 22-year one-man-club career with Roma and his 2006 World Cup success with Italy. 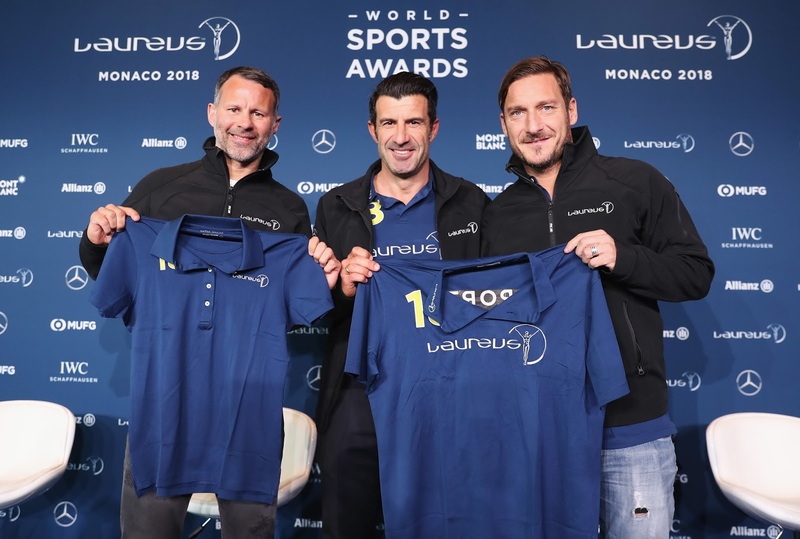 At the prestigious Awards Ceremony, Totti also joined Manchester United star and new Wales manager Ryan Giggs on stage as the newest Members of the Laureus World Sports Academy. Houston Texans defensive end J. J. Watt received the Laureus Sporting Inspiration Award for his incredible fundraising efforts after Hurricane Harvey hit Houston, where he raised more than $37 million to support relief efforts. US Olympic Legend and Laureus Academy Member Edwin Moses received the Laureus Lifetime Achievement Award, in recognition of his remarkable sporting career in which he won two Olympic gold medals and remained unbeaten for nine years, nine months and nine days in the 400 metres hurdles. 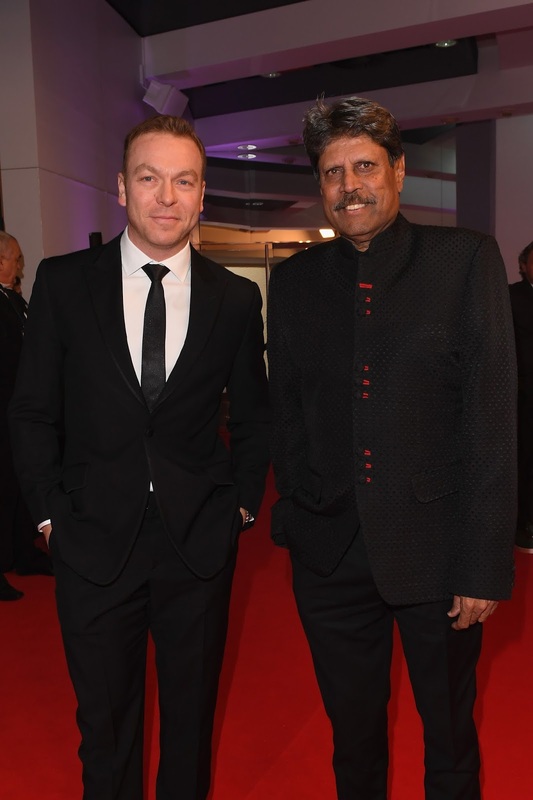 He is now a world leader in the fight against the use of illegal drugs in sport.